After I hosted GNOME Asia Summit in Hong Kong last year, I am invited to be join its Asia committee and started from calling for next host of the Asia summit this year. 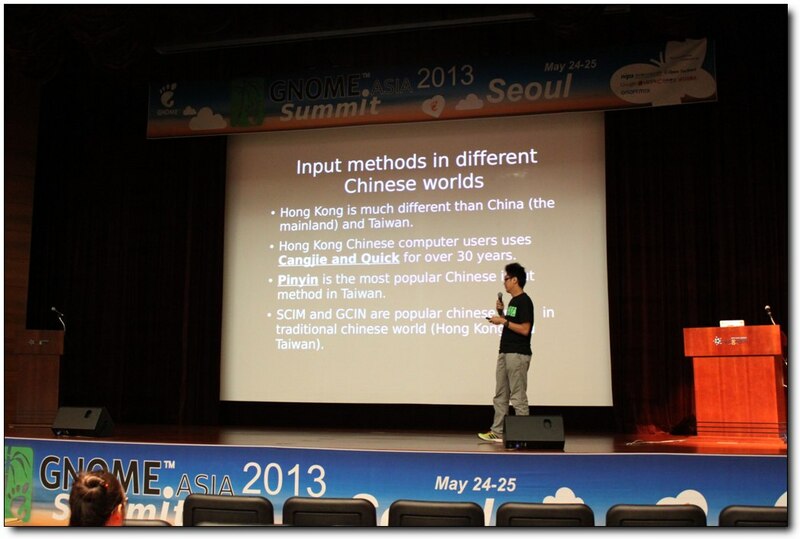 When I was selecting from potential teams, I prefer Seoul as the host of GNOME.Asia Summit 2013 this year. From their proposal and website, I found that they run a really good local GNOME community, for an example, they organizes a monthly user meetup. 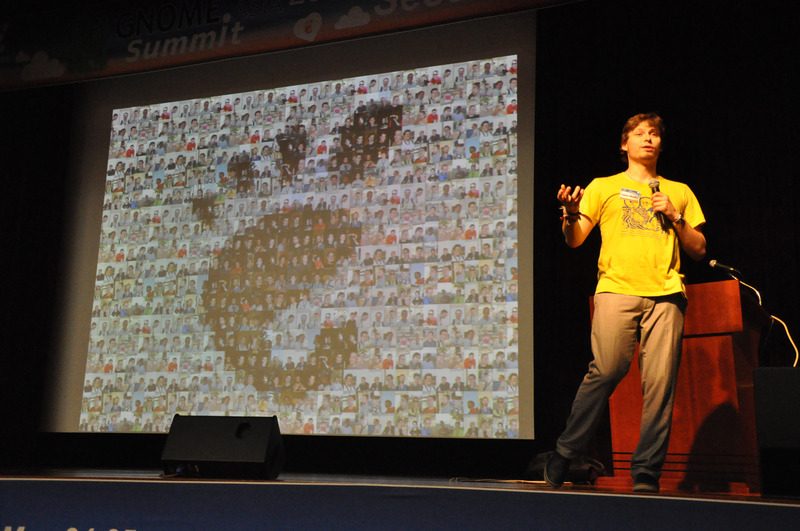 So, it is great for us to bring GNOME developers and topics to Seoul from oversea. We can meet with their local community and we know more about their community as well. And after Korea team is selected as the summit host this year, I joined most of online meeting to help to organize the summit. I presented 2 lightning talks in the summit because my proposal submission was late. (Day 1) IBus Chinese input methods for HongKongers – Problem, Solution, Future. I uploaded some photos in this summit to Flickr and Facebook, and we collected more photos into 2013 summit flickr group from summit participants. It is nice to meet with GNOME folks again in a foreign country. With strong support from NIPA, the main hall with a back stage is great. After I contribute to GNOME Asia community for 2 years, it’s my first time to meet with Karen – the executive director of GNOME, and listened her keynote speech. And Allan Day is another keynote speaker and again. I spent 60% time at main hall for technical topics, 40% time at classroom for some specified topics, and helped around if need me. I am interested to topics on some important GNOME components and GNOME roadmap and progress, and I am also interested to input methods, so I sit into Korean input method and l10n session although it is presented in Korean. 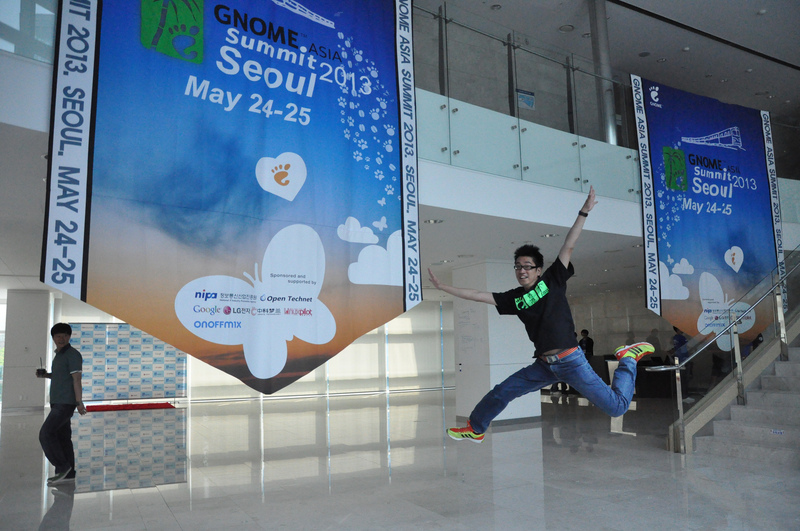 And I also did something fun to promote GNOME – jump with GNOME! The concept behind this is, we are happy with GNOME and use it, contribute it. I must say, Korea team did great. Just finished an online irc meeting to revising summit this year, and we will start to work on next summit soon. 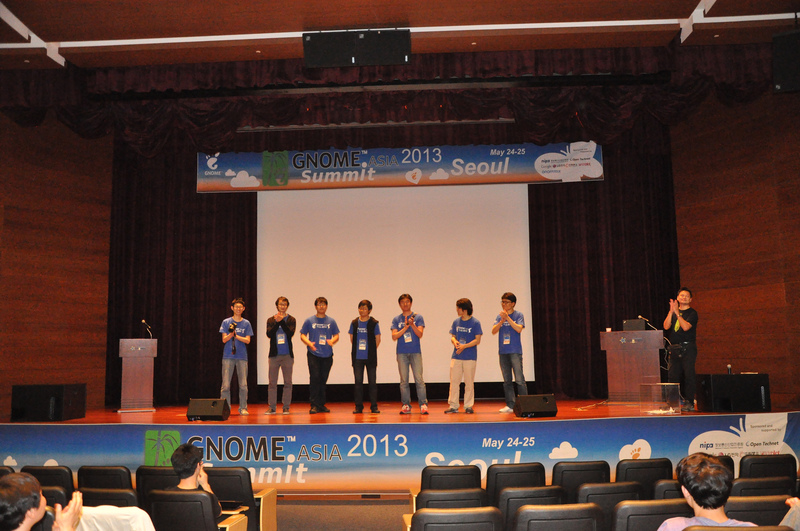 Sammy’s photo album of GNOME Asia Summit 2013 Korea on Flickr, and a photo album on Facebook. 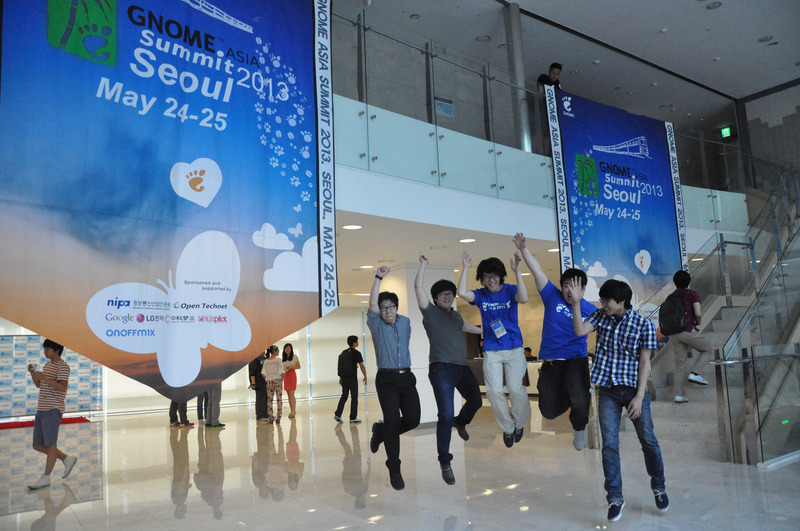 This entry was posted in Open Source and tagged gnome, seoul by Sammy Fung. Bookmark the permalink.